WordPress is a free and open source website and blogging tool that uses PHP and MySQL. WordPress is currently is a CMS (Content Management System. It is easy to setup websites and customize. In this guide, we will demonstrate how to get a WordPress instance set up with an Apache web server, PHP and MariaDB on Fedora 20. 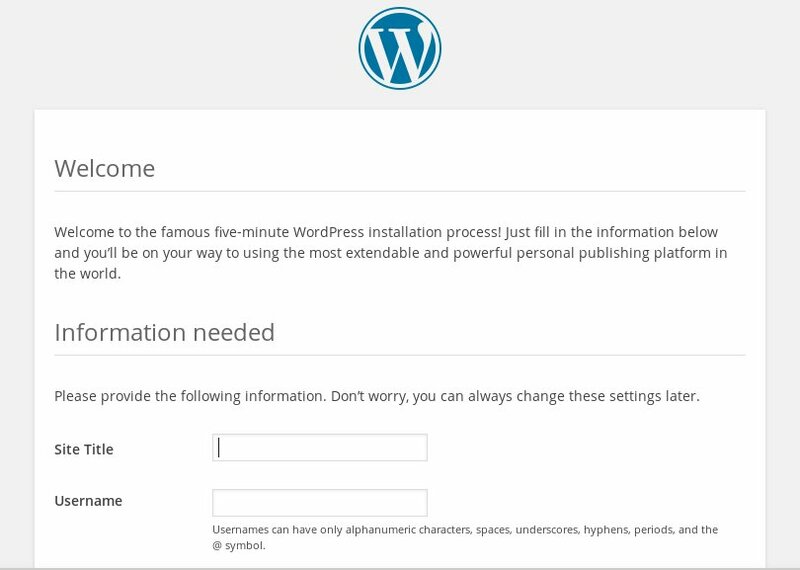 Before we can install and configure WordPress we must first install what is reffered to as LAMP (Linux, Apache, MySQL, PHP). Now that the installation is complete let’s start and set mariadb and Apache to start on reboot. First let’s set the service to start at start. root user without the proper authorization. For the rest of the questions, you should simply hit the “ENTER” key through each prompt to accept the default values. This will remove some sample users and databases, disable remote root logins, and load these new rules so that MySQL immediately respects the changes we have made. Now that we have the basic’s out of the way we can download and install the latest version of WordPress. WordPress uses a relational database to manage information for the site and its users. We have MariaDB installed already, which can provide this functionality, but we need to make a database and a user for WordPress to work with. You will be prompted for the password that you set for the root account when you installed MySQL. Once that password is submitted, you will be given a MySQL command prompt. Copyright (c) 2000, 2014, Oracle, Monty Program Ab and others. First, we’ll create a new database that WordPress can control. You can call this whatever you would like, but I will be calling it wordpress for this example. Next, we are going to create a new MySQL user account that we will use to operate on WordPress’s new database. For this example we will call the new account wpuser and will assign it a password of password. You should definitely use a different username and password, as these examples are not very secure. At this point, you have a database and user account that are each specifically made for WordPress. However, the user has no access to the database. We need to link the two components together by granting our user access to the database. You should now be back to your regular SSH command prompt. Before we download WordPress, there is one PHP module that we need to install to ensure that it works properly. Without this module, WordPress will not be able to resize images to create thumbnails. We can get that package directly from the default repository. With this change, the web server will be able to create and modify WordPress files, and will also allow us to upload content to the server. Most of the configuration required to use WordPress will be completed through a web interface later on. However, we need to do some work from the command line to ensure that WordPress can connect to the MySQL database that we created for it. The only modifications we need to make to this file are to the parameters that hold our database information. 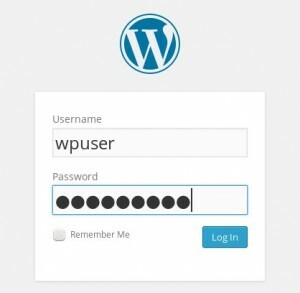 We will need to find the section titled MySQL settings and change the DB_NAME, DB_USER, and DB_PASSWORD variables in order for WordPress to correctly connect and authenticate to the database that we created. These are the only values that you need to change, so save and close the file when you are finished. 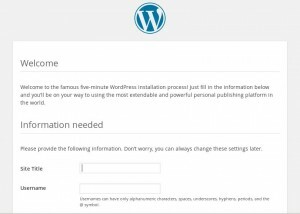 Enter in the information requested and click Install WordPress. Once the installation is completed you will be sent to a screen to login. Click Login and you will be redirected once again. 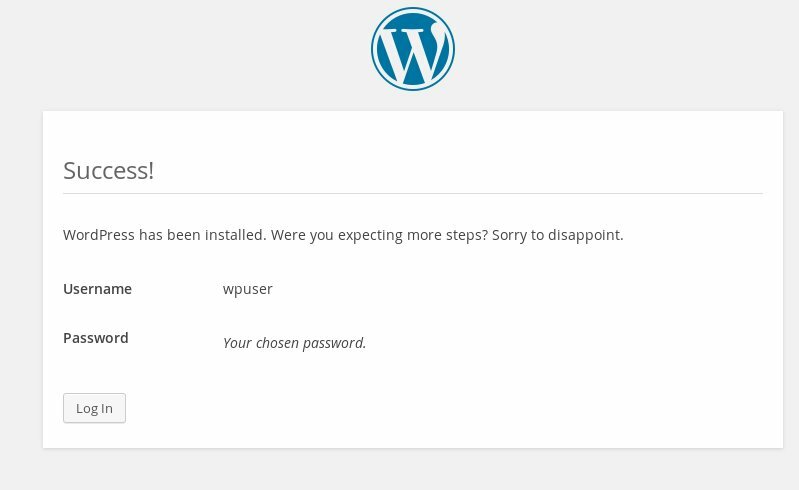 After hitting Log in, you will be presented with your new WordPress dashboard. You should now have a WordPress instance up and running on your Fedora 20 system. Nice tutorial. 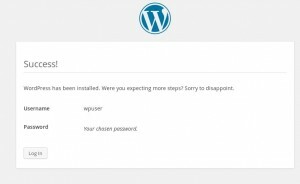 Are there any advantages when using the manual installation of wordpress instead of the packaged version (dnf install wordpress)? Also you did not mention selinux permissions for the wordpress directory.